Understanding how you spend your money and manage your debt is a key component in pursuing your financial goals. By evaluating your spending habits, I can help identify ways to improve your cash flow and reduce your debt so that you may have more money to invest towards your financial goals. Even the best plans can be derailed by unexpected events.  Part of providing you with a comprehensive plan is knowing the possibilities that could threaten your financial future and taking measures to reduce those risks. We will review your current policies to make sure they are adequate for your situation. Many individuals will spend twenty to thirty and possibly more years in retirement. Our goal will be to make sure you have a clear understanding and expectation of what retirement looks like to you. Identifying those desires will help us determine the amount of assets you will need to pursue those goals and take the steps necessary to make them a reality. While the cost of education continues to rise, one of the most neglected areas of personal finance is education funding for children. There are many education funding options available. I can help you sift through these options to choose what best suits your overall financial planning goals. What happens to your assets after your death is often a difficult conversation to have and therefore is avoided by many people. By having that difficult conversation now, you can devise a plan to minimize estate taxes and maximize the funds left to your family. Running a business can be challenging. Proper planning can help ensure the success of your business while protecting your personal assets. I can help implement strategies to protect your business, improve cash flow, prepare for taxes and more. Whether it’s a second home or a wedding, a dream vacation or a unexpected expense, those special situations almost always arise. Making the right decisions can make all the difference in your financial security. I can help define a path for whatever financial challenges or opportunities arise.